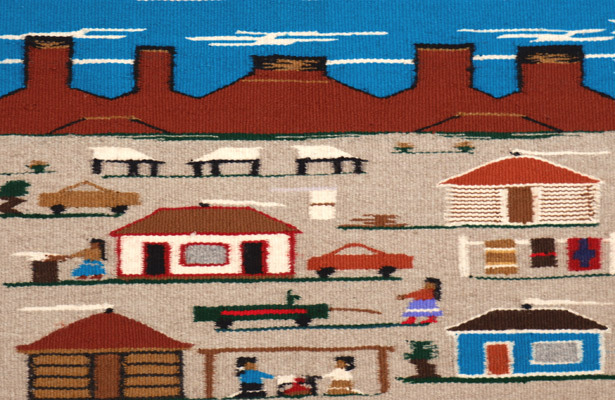 This highly detailed and colorful pictorial rug is by Navajo weaver Minnie Thompson. 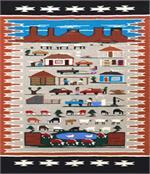 From the looms of Navajo weavers come wool rugs that are comparable to the world's finest weavings. Navajo weavings are woven on upright looms that are constructed by the weaver. 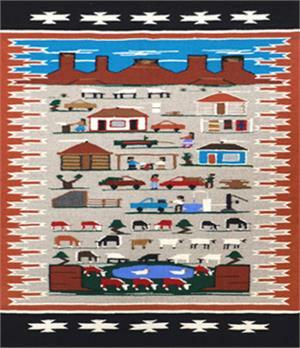 The transition from producing weavings for personal use to producing items for commerce was largely responsible for the development of the modern Navajo rug, just over one hundred years ago. 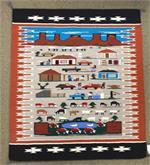 The advent of reservation trading posts encouraged this transition by creating market outlets for products like rugs that previously had circulated only in trade. Exposure to larger markets had a significant effect on the evolution of the art form. The most apparent example of this was the development of regional styles and patterns. 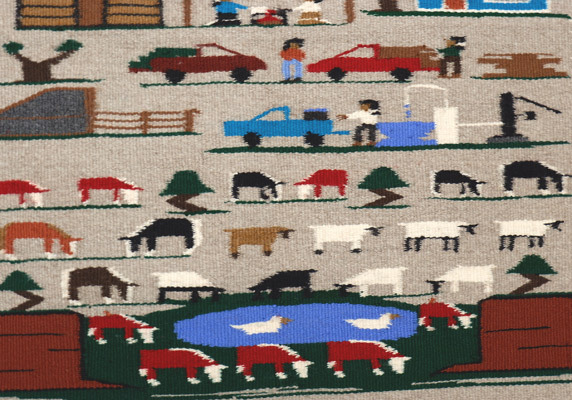 Although they are no longer accurate indicators of a modern rugs geographic origin, the regional names such as Two Grey Hills, Wide Ruins, or Ganado still identify rugs of a particular style. 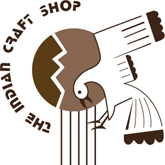 It is important to realize that these are general styles, and not specific patterns or designs. 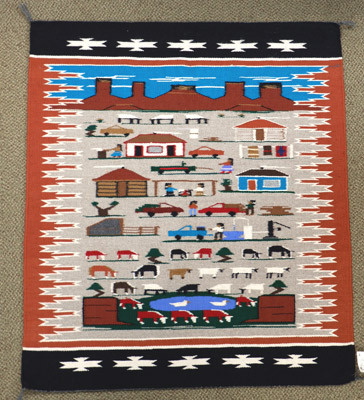 There is no set of Navajo designs, and patterns are devised within the mind of the weaver, so while two rugs may be very similar, there are no two exactly alike. Rug care and hanging instructions included with purchase. If you would also like velcro, at no additional cost, for hanging your rug, click on "Contact Us" below to make your request.